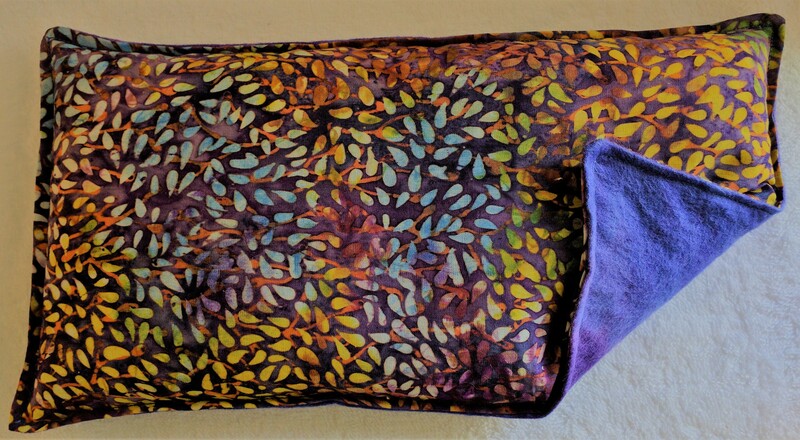 Made with beautiful batik and flannel fabric, this generously filled pillow is used commonly for aches, discomfort, warmth and relaxation . 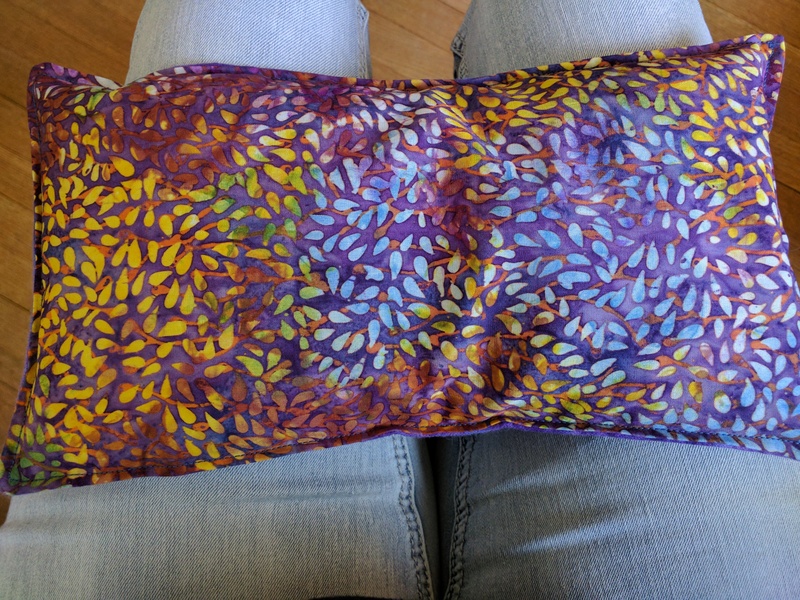 The 6" x 12" size is perfect for the warming your bed, hands, lap, abdomen, pelvic area, lower back and jaw. So many uses! Directions: Use warm, chilled or room temperature. Pillows should always be removed from any packaging prior to heating. Heat in microwave checking every 30 seconds and shaking to distribute heat evenly. Approximately 1-2 minutes for pillows and wraps, 30 seconds for small sizes. Heating times in the microwave may vary please use caution.... do not use the oven or any other heating device to warm your pillow. Always ensure the pillowis not too hot before applying directly to skin. Be careful to not overheat the pillows as you can burn the filling and you will need to discard. If you prefer to use it cold, keep it stored in the freezer or refrigerator in the airtight bag. Always allow cold or frozen bags to rest for at least 30 minutes before heating in the microwave for warm usage. To revive the scent of your pillow just pinch the herbs to release more fragrance. Excessive heating will cause scent to fade faster.